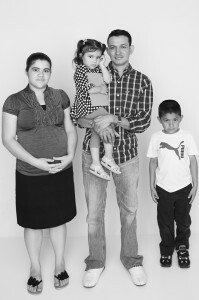 Keeping families in safe, affordable housing is at the core of our housing law practice. Our housing law attorneys understand the importance of getting our clients effective and timely relief in matters such as eviction, housing code violations, the termination of housing subsidies, and the preservation of affordable housing. We represent clients in eviction cases in the Landlord and Tenant Branch of D.C. Superior Court and in administrative hearings to preserve housing subsidies and challenge unlawful rent increases. Legal Aid housing law attorneys also assist clients living with deplorable housing conditions by representing them in affirmative suits to obtain repairs. Recognizing the acute need for tenant representation in D.C. Superior Court, we established the Landlord Tenant Court-Based Legal Services Project in 2007 to provide legal assistance to tenants at the courthouse. In 2010, we also advocated for the creation of the Housing Conditions Calendar, designed to help tenants living in poor housing conditions bring repair claims to court. In 2015, Legal Aid, in collaboration with Bread for the City, Legal Counsel for the Elderly, and the D.C. Bar Pro Bono Center, launched the Housing Right to Counsel Project, which aims over the long term to offer a guarantee of representation to tenants in subsidized housing who are facing eviction and the associated risk of losing an invaluable housing subsidy and entering into long-term homelessness. In addition to individual representation, our housing law unit works to identify cases that could have a broad-based impact and to engage in advocacy on issues that affect a group of tenants or the operations of government agencies and the Court.